Leh Ladakh much beloved by India travellers, Tourist loves the beauty of this place. Leh Ladakh is the most location of Jammu Kashmir. Leh is the capital of the kingdom of mountain Ladakh. It has vast landscape and sky kissing snow hills. Ladakh is bound by mountains and made up of mountains. Sheer walls of rock and ice divide the Indus Valley from Tibet, Kashmir and Himachal Pradesh, and human habitation is restricted to narrow strips of greenery clinging to the rivers that drain down from mountain glaciers. This rugged region is home to one of the last undisturbed Tantric Buddhist populations on earth, protected from colonial interference, rampaging Mughals and the ravages of the Cultural Revolution by sheer force of geography. 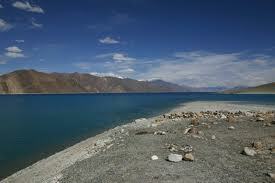 Its landscapes are like that of neighbor Tibet and hence also known as little Tibet. Leh has been the Tibetan Buddhist center for ages and hence has a rich religion. Ladakh has many adventure sports for tourist. From November to May, Ladakh is almost completely cut off from the outside world. Even in summer, getting here involves crossing the highest mountain passes in the world, or a hair-raising flight that weaves between the peaks. And those who are very adventurous travel to Ladakh from all over the globe to experience the taste. Some of the most famous adventure sports in Ladakh are jeep safari,mountaineering, and river rafting, trekking, and cycling. Isolation has preserved an almost medieval way of life, dictated by the changing seasons. However, change is coming to this mountain Shangri La. Tourism and hydro-electric power are flooding the region with money, and global warming is altering rainfall patterns, threatening farming cycles and Ladakh’s traditional mud-brick architecture. Unlike the rest of Jammu and Kashmir, Ladakh has seen little violence since Independence. Most Ladakhis are Buddhist, with smaller communities of Shia and Sunni Muslims in Leh and the valleys surrounding Zanskar and Kargil. T2india.in providing Ladakh TourPackages depending upon your own choice. There are several packages available for Leh Ladakh tour Packages. We are becoming popular day by day just because we provide tourists lots of options to choose and design their own tours to Leh Ladakh. Thus, all depends upon your preference like where to go, your budget, when to go. We will provide you the complete Leh Ladakh tour packages from your arrival to departure including accommodation in the best hotels/resorts, city tour, food, backwaters, sports activities and many more. It is our duty to help you to take right decisions and choose right packages to make your trip unforgettable. Even the natural beauty at this place is center of attraction for people. They are fascinated with lush green environment, slope hills and pleasant weather. Leh Ladakh is an ethereal desert area caressed by freezing winds. Now this place even has direct connectivity of flights from several places of India. So when you plan for a vacation then it can be an option in your list. Leh Ladakh is famous as the Heaven on Earth. There are even luxurious hotels here where you can book your accommodations at affordable prices. For this, you need to keep one thing in mind that is its timings of booking. It is better to plan things in advance, rather than going there.